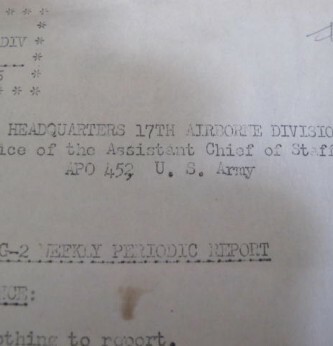 Interesting paperwork grouping with Battle of the Bulge connection. 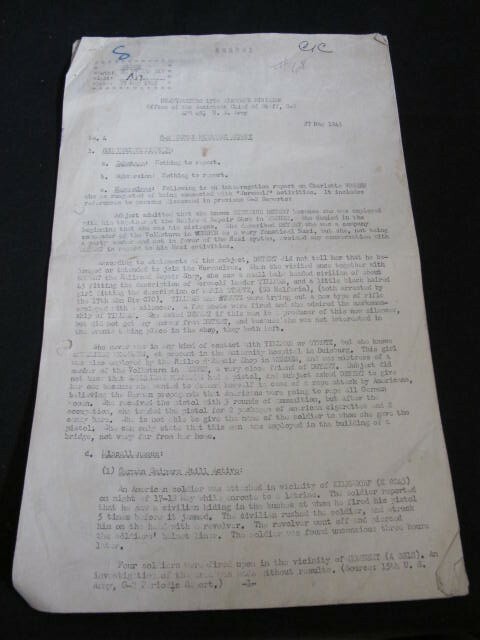 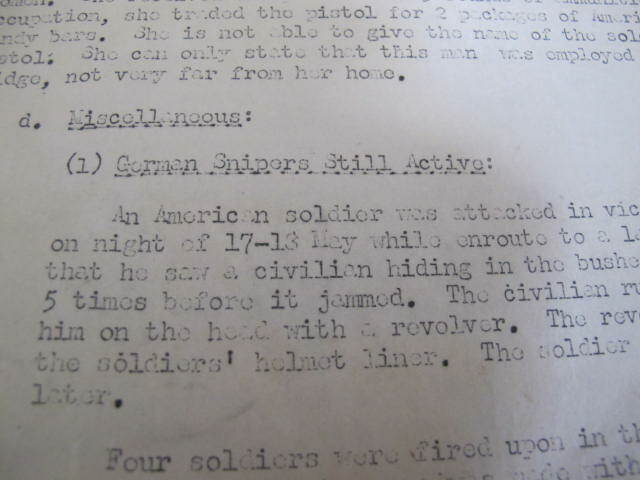 Being a four page typed report compiled by the Headquarters of the 17th Airborne Division and relating to incidents involving German civilians being stopped in civilian clothes carrying weapons. 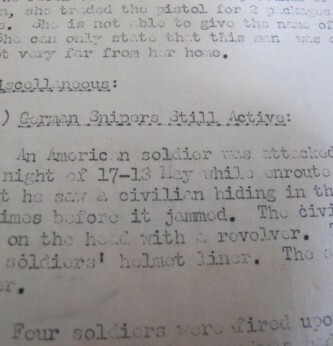 Mentions German snipers attacking US troops. 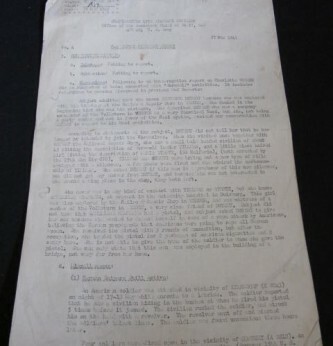 A scarce and historical document. 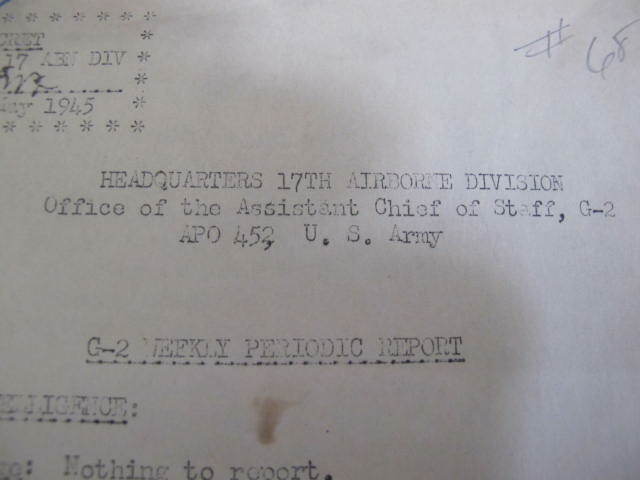 NOTE: SS commander Otto Skorzeny led troops dressed as American soldiers on sabotage missions behind enemy lines.